We have many pristine ponds and lakes within easy driving distance of our lodge. Some are accessible only by canoe and all offer scenic views, wildlife sightings, and relaxing fishing. For day-trippers and overnighters, there are many beautiful 1-3 day canoe trips in our area. We can assist with “drop-off’s” and “pick-up’s,” and also offer guided trips. 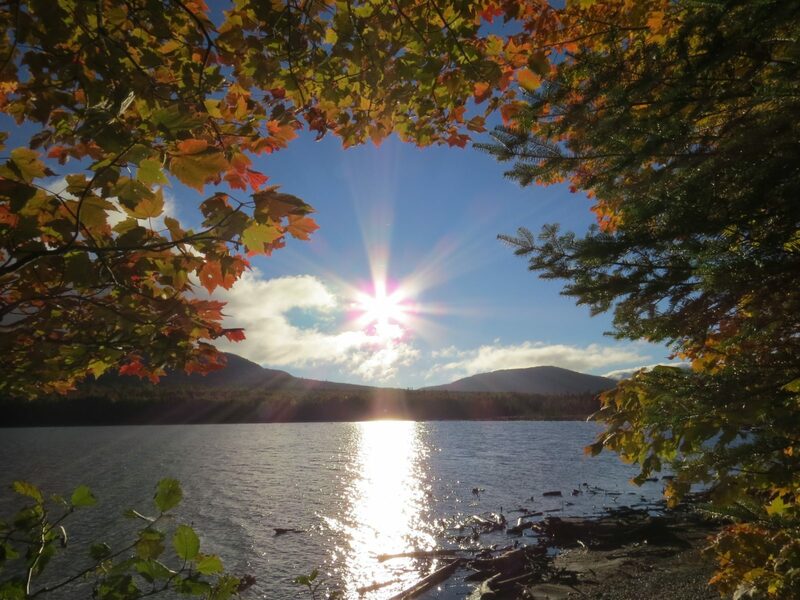 Northern Pride Lodge is located in the heart of “Hikers Paradise.” The area offers many hiking trips ranging in difficulty that will offer a challenging day to all skill levels. Breathtaking views and abundant wildlife are only a few of the rewards awaiting the ambitious hiker. Listed below are just a few of the hiking trails that are located within the reach of your stay at Northern Pride Lodge. We are also within 30 minutes of the Appalachian Trail and can offer “drop offs” and “pick-ups” to allow you to enjoy sections of the 100-mile Wilderness. We look forward to you joining us at the Lodge and pampering you with great lodging and food after you’ve conquered your ascent for the day. We offer two types of moose watching adventures. One, a scenic trip down First Roach Pond by motorboat, offloading into canoes and/or kayaks. Depending on your skill and comfort levels, you are welcome to ‘paddle your own canoe’ or let us guide you through the quiet waters. 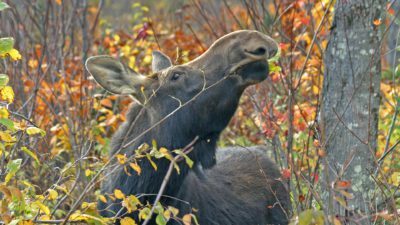 For those seeking a closer encounter for the up-close and personal moose photos, in a picturesque setting, we also offer canoe trips to remote ponds and flowages. 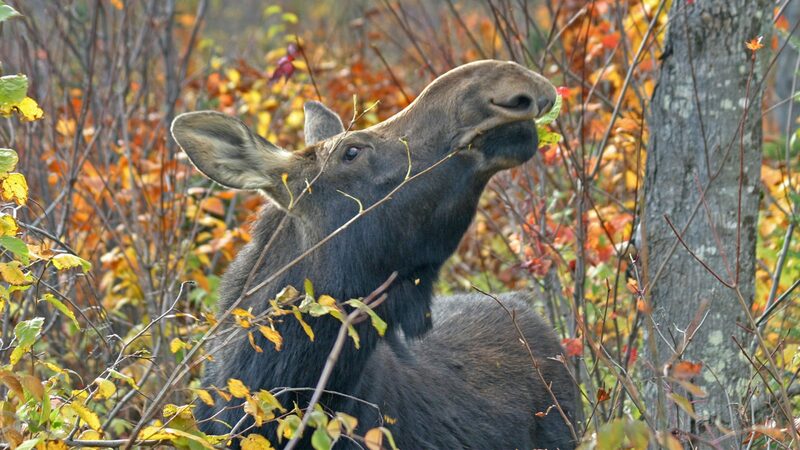 Whichever tour you choose, expect to see many moose, and often loons, deer, and bald eagles. 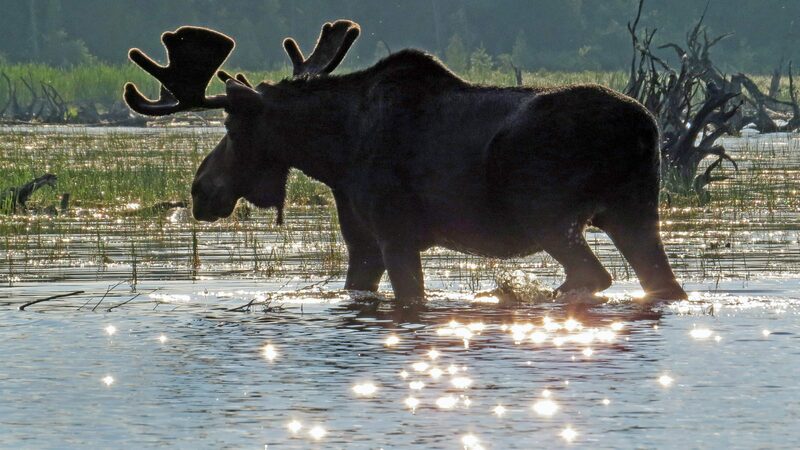 The best time of year for moose sightings in and around the water, is the first of June through August. We offer morning and evening tours by reservation. We are adjacent to thousands of acres of paper company woodlands. Numerous trails and dirt roads provide miles and miles of riding for the mountain bike enthusiast. The wide variety of roads and trails range from graded and maintained main roads to overgrown trails that seriously challenge your riding skills. 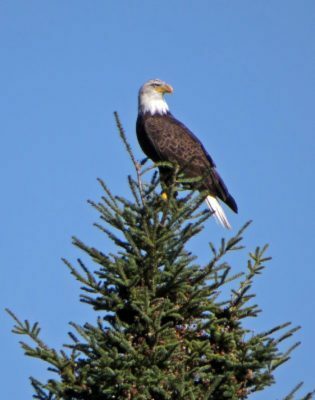 The Moosehead Lake area is a great destination for birders. With vireos and warblers of all sorts, and species not found in more southern climes, we can suggest areas that will allow you to add some of those elusive birds to your list. Boreal Chickadees, Bicknell Thrush, Spruce Grouse and Canada Jays (the ‘Gorbie’ of yesteryear) are all residents at some point throughout the year. 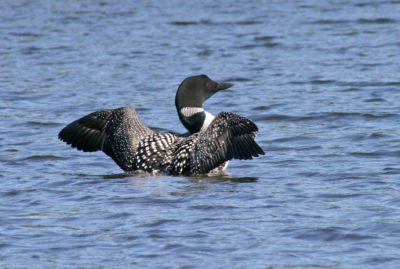 Bald Eagles, Loons, Pileated Woodpeckers, Bitterns and many others are some of our more sought after species. There are water birds, species that favor the thick evergreen forests, and migratory species of all kinds. No matter the time of year, there are always many birds to lure you into the great outdoors!